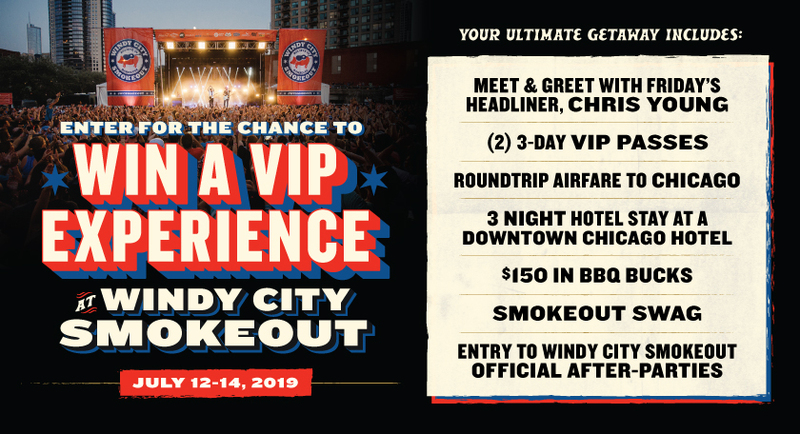 Enter for the chance to win a VIP Experience at Windy City Smokeout! Fill out your information below to enter for the chance to win! By providing your e-mail address above, Windy City Smokeout may e-mail you company updates and announcements. This promotion is managed by Windy City Smokeout - BBQ & Country Music Festival. Participation in this promotion is subject to the official rules.